Baylor>Robbins College of Health and Human Sciences>Faculty & Staff>Faculty Directory>Carrie Drew, Au.D. Dr. Carrie Drew is a clinical supervisor in the CSD Department's Audiology Clinic. She supervises speech language pathology graduate students as they earn their audiology clinical hours. Graduate student clinicians working alongside Dr. Drew, have the opportunity to serve the hearing healthcare needs of newborns-to-adults. In addition clinic work, Dr. Drew teaches Introduction to Aural Rehabilitation and is guest lecturer in several CSD courses. Dr. Drew is dedicated to meeting the unique needs of each audiology patient through patient centered counseling and knowledge of the latest technological advances in hearing devices. The field of audiology integrates science, good communication skills, and logical reasoning. Dr. Drew completed her Bachelor of Science degree in Communication Sciences and Disorders and her Master of Arts degree at the University of Texas at Austin. She earned her Doctor of Audiology degree at A.T. University of Health Sciences. Dr. Drew has worked in outpatient rehabilitation and was the Chief of Audiology for several years at Hillcrest Baptist Medical Center. 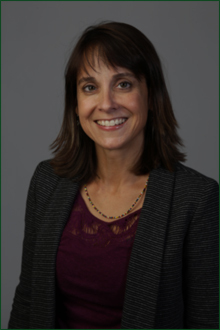 She has taught graduate and undergraduate audiology courses and speech science courses at Baylor University and at Longwood University. Dr. Drew states that the best aspect of being an audiologist at Baylor University is the opportunity to share her enthusiasm about audiology with students while helping patients achieve a better quality of life through improved hearing.